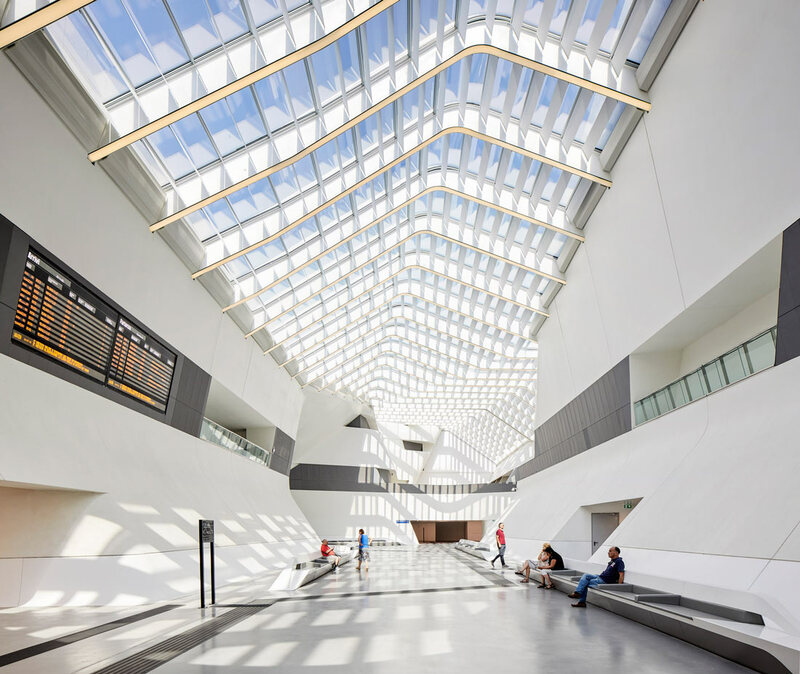 The new rail station at Napoli Afragola is designed as one of southern Italy’s key interchange stations, serving four high-speed intercity lines, three interregional lines and a local commuter line. 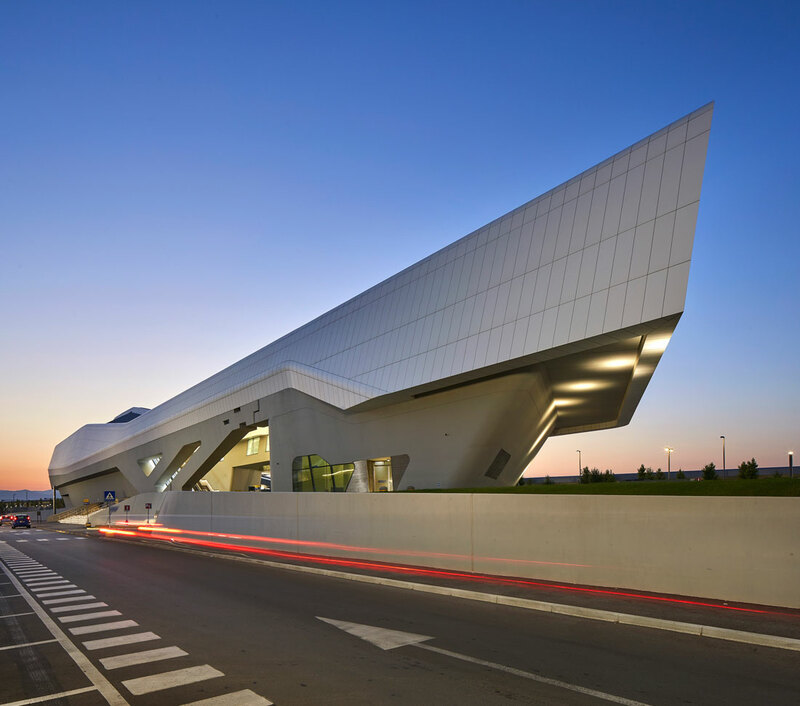 In addition to the planned high-speed rail services connecting Bari and Reggio Calabria with the north of Italy and Europe, by 2022 new rail infrastructure will create an important hub at Napoli Afragola serving the entire Campania region by integrating the southern expansion of Italy’s high-speed rail network with the Napoli Cancello line and the Circumvesuviana commuter railway extension. 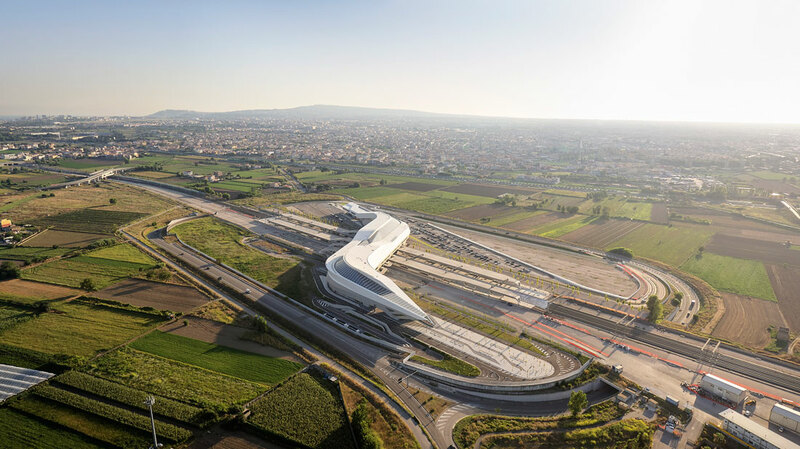 To meet future demand for rail travel throughout the region (which has increased by 50% in the past decade) the Napoli Afragola station is part of the new north/south rail corridor to the east of the greater Napoli metropolitan area, which will be wholly integrated with local and regional rail services. Once all lines are operational, 32,700 passengers are expected to use the station every day (approximately 12 million passengers per year) with 4,800 commuters using the station each morning and evening during rush hour. 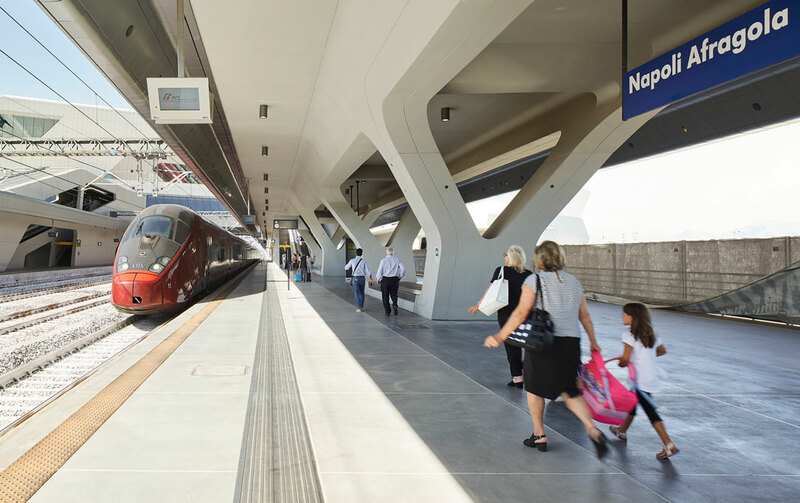 Twenty-eight high-speed trains serving each direction will stop at Napoli Afragola daily, providing an express service in each direction every 30 minutes (40 minutes outside peak times), with approximately 700 passengers planned to alight or board from each platform. 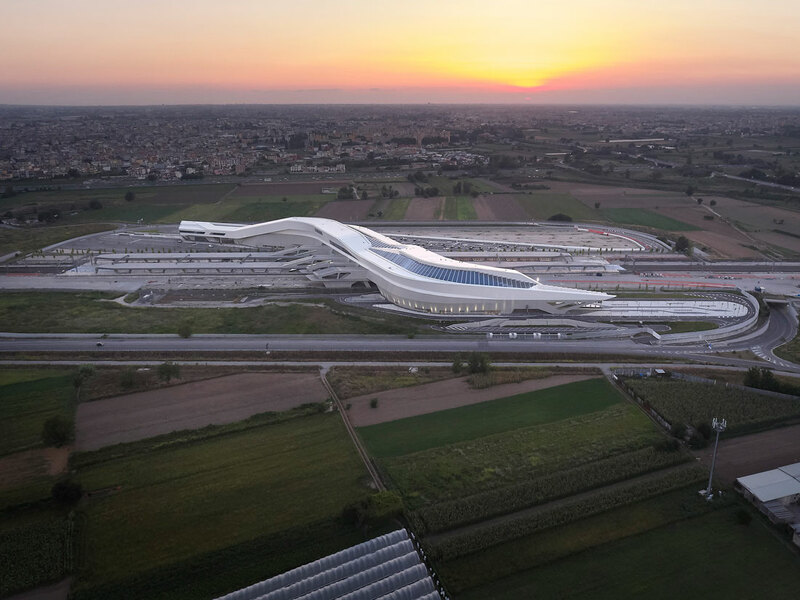 A further 200 regional and local train services will call at Napoli Afragola daily, creating a key interchange within the national, regional and local rail networks. 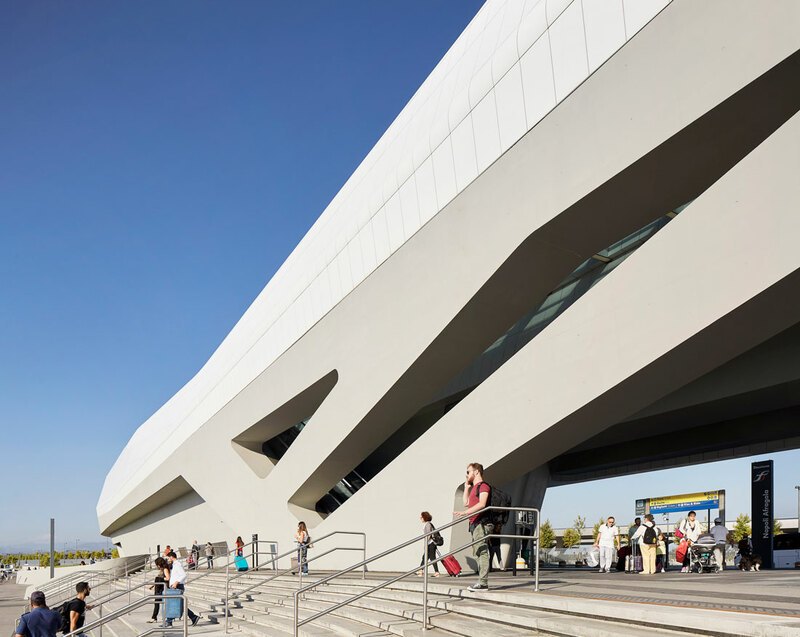 Public train services at the €60 million interchange station began on 11 June 2017. Initially with 18 high speed trains in each direction, serving 10,000 passengers per day, services will increase to 28 trains in each direction as new infrastructure and further phases of the station come on line. 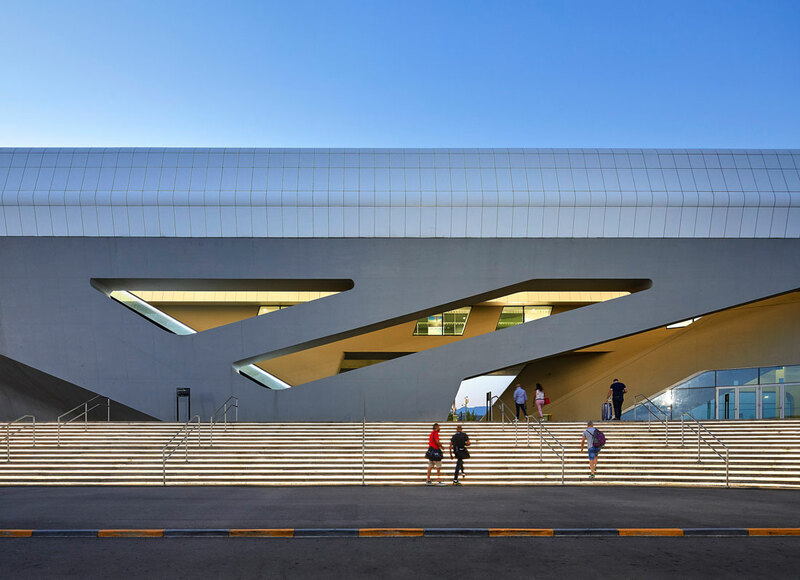 Located 12 km north of Naples, Afragola station is also planned to serve the local communities of Acerra, Afragola, Caivano, Casalnuovo di Napoli and Casoria, which range in population from 10,000 to 50,000 residents. Afragola will be an intermodal hub, relieving congestion in the city centre, and not a replacement for the existing Napoli Centrale terminus. The design enlarges the public walkway over the eight railway tracks to such a degree that this walkway becomes the station’s main passenger concourse: a bridge housing all the services and facilities for departing, arriving and connecting passengers, with direct access to all platforms below. The station was designed as a reinforced concrete base supporting the elevated concourse of steel ribs, with a glazed roof. Construction began in 2015. 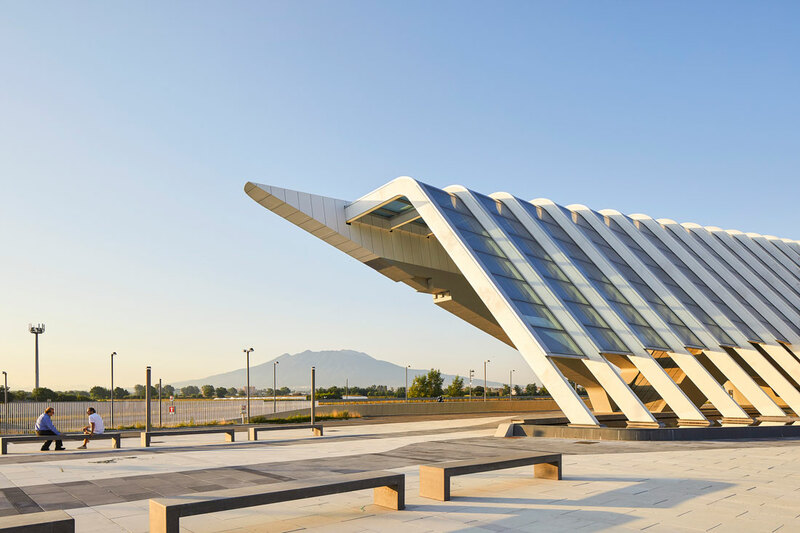 Designed as the extrusion of a trapezoid along a 450m curved path, the elevated concourse is made of 200 differently shaped steel ribs that are clad in Corian®. 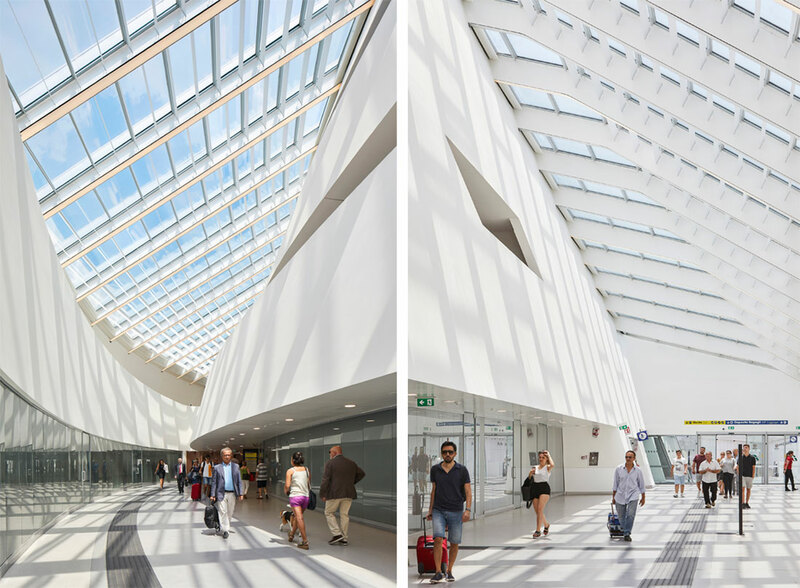 The main concourse of the station is oriented to benefit the building’s ecological sustainability. 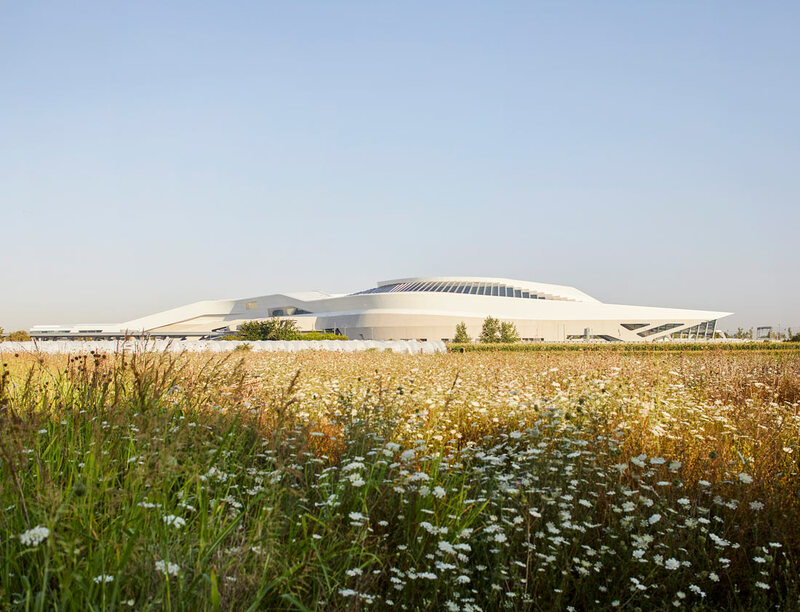 Integrated solar panels in the roof, combined with natural light and ventilation as well as ground source cooling/heating systems, will enable the station to minimise energy consumption.